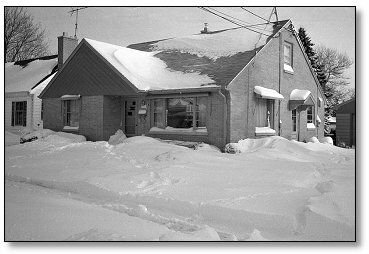 A Snowy Day at the Kleins-1999! 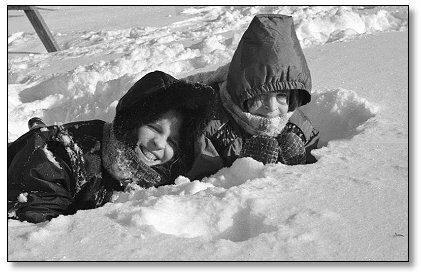 the day after we got 12-1/2 inches of snow! 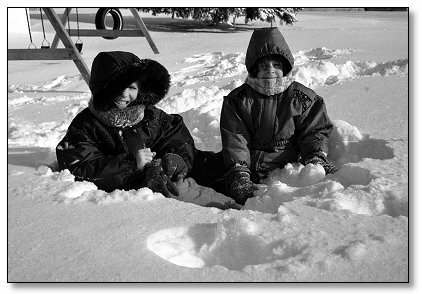 Emily, 6, and Sarah, 9, look buried in the snow in our backyard! Sarah and Emily mug it up for Daddy while they play in the snow. 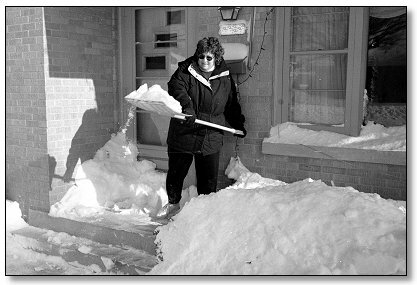 Dawn caught in the act of shoveling snow off the front porch. 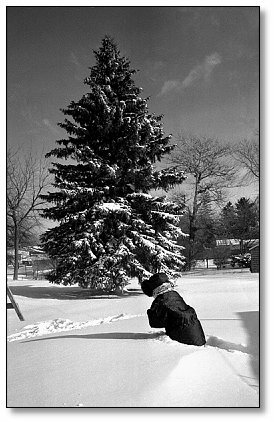 as she struggles to walk through a hip-deep snowdrift. All pictures ©1999 Gary C. Klein. Leave them here! 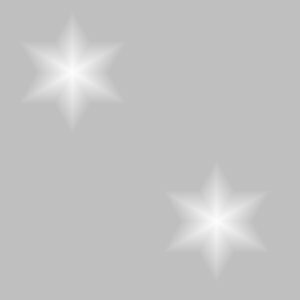 Background made by Dawn with Paint Shop Pro and Eye Candy! Page last updated on January 30, 2011 11:19 PM !